The EUR/USD currency pair continues correctional descending movement; the price is forming the third wave of this correction. I should note that reaching the level of 1.3330 will be enough for the market, but so far the structure of the movement indicates that the price may reach only the level of 1.3340. 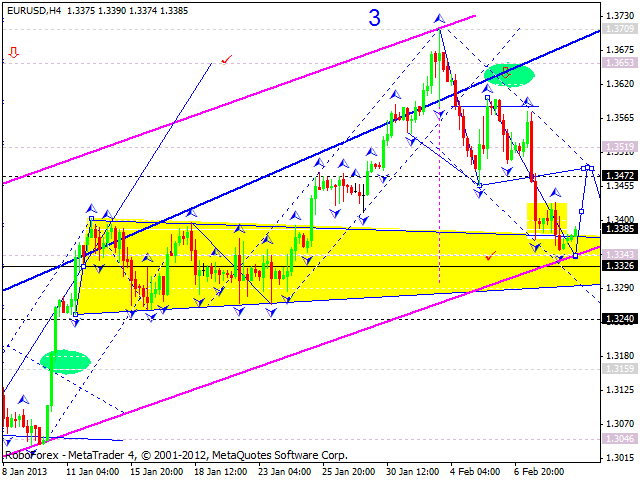 If the pair forms a five-wave correction, the price may fall down and each the level of 1.3240. However, it doesn’t matter if this correction is three-wave or a five-wave one – an overall technical picture won’t change. Later, in my opinion, the price may start growing up towards the target at 1.3980, at least. 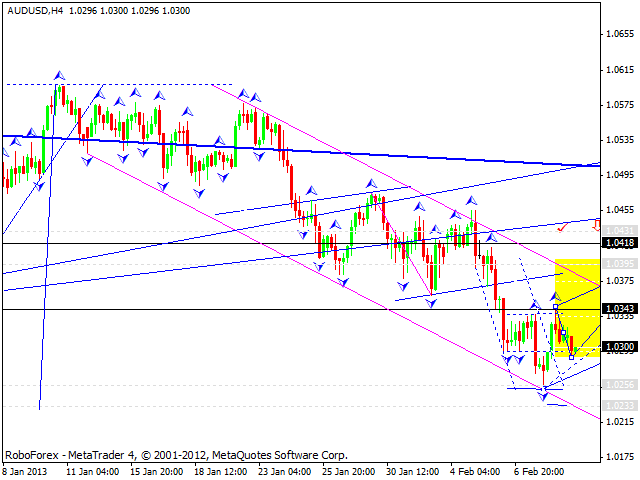 I think today the pair may continue moving downwards to reach a new minimum and test the channel’s lower border. After that – to test the level of 1.3470 from below and then start another descending structure towards the level of 1.3240. I would pay more attention to the levels of 1.3340 and 1.3240: if the pair forms a pivot point near any of them, the correction may be considered completed. 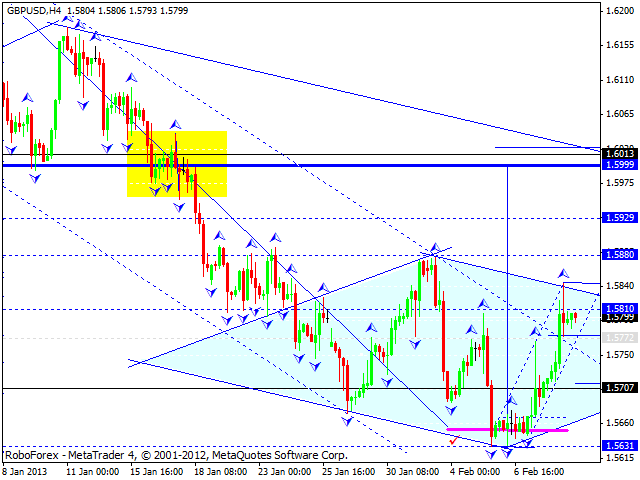 The GBP/USD currency pair formed diamond reversal pattern near its minimums. 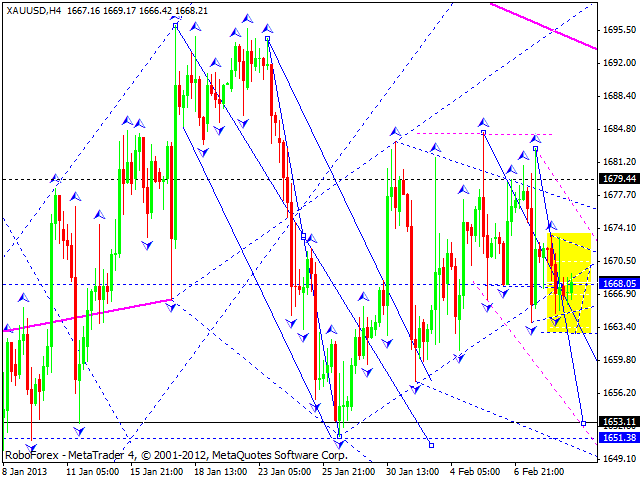 I think today the price may fall down towards the pattern’s lower border and reach the level of 1.5710. Later, in my opinion, the pair may start a new ascending structure to break the pattern’s top. The first target is at 1.6000. 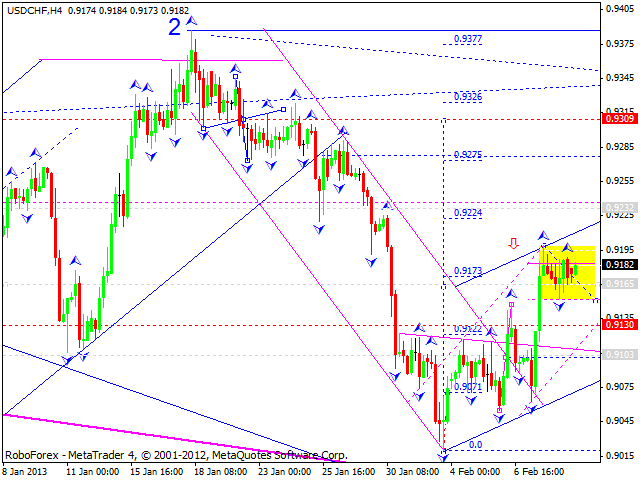 The USD/CHF formed the first five-wave ascending structure. I think today the price may be corrected towards the level of 0.9110 and then start moving upwards to reach the target at 0.9230. The target of this correctional wave is at the level of 0.9300. The USD/JPY currency pair continues a correctional movement. I think today the price may return to the level of 93.50 and continue this correction inside a narrowing triangular structure. The target is at 90.90. Australian Dollar broke the latest descending channel and formed an ascending impulse. I think today the price may correct this impulse, reach the level of 1.0290, and then start a new ascending impulse towards the level of 1.0395. The target of this correction is at 1.0430; only after reaching it, the price may start forming a new descending structure towards the level of 1.0235. Gold is still consolidating near the level of 1668. I think the instrument may expand this consolidation channel downwards a little bit; the target is at 1655. The market may return to the level of 1670 and only after that renew minimums once again. 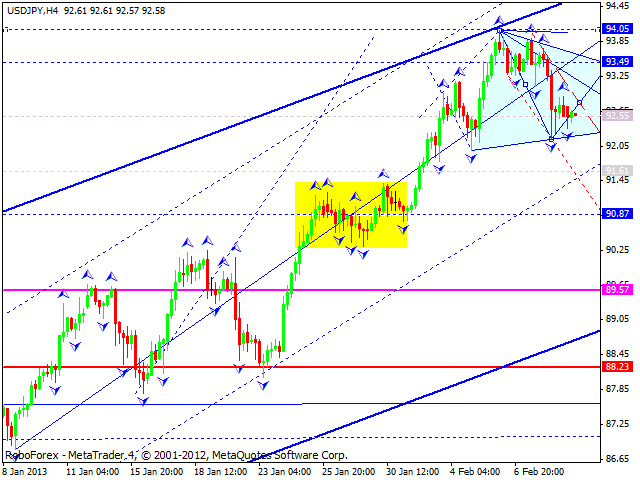 The target of the wave is at 1651; only after reaching it, the price may start growing up towards the level of 1707.